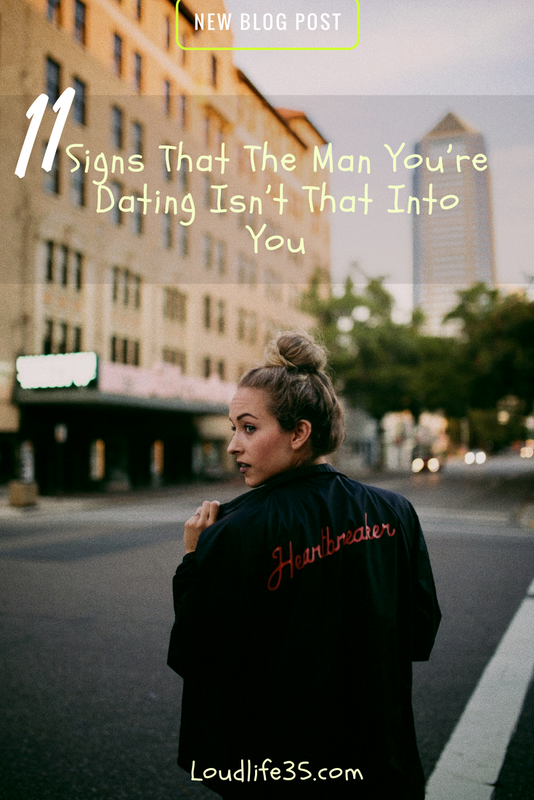 When dating a man, women often get caught in looking for signs and what they could possibly mean, even though those signs couldn’t, sometimes, be any clearer. They like to think of themselves as being the exception to the rule. And while every relationship is special, some signs have only one explanation. 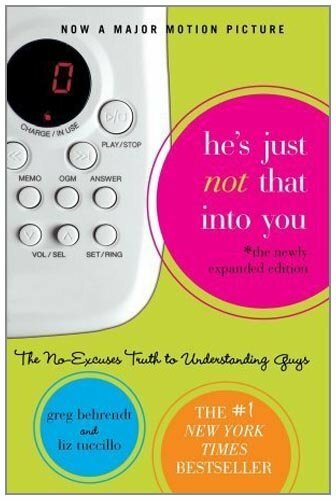 He’s just not that into you. I know that time has changed, that now, women and men are equal (almost), but when it comes to starting a relationship, men and women cease to be equal. When a man likes and wants a woman, he’ll ask her out. It has nothing to do with not having her phone number or being busy in his work or coming out of a difficult breakup or any of the other excuses women like to feed themselves when they like a man and think that they like them back. Trust me, if he wants you, he’ll find you and ask you out. If he doesn’t, then he’s just not that into you. It’s important to let the man take action and start the relationship, he likes to feel in control. And who wants to be with someone that can’t find the courage to ask them out. When someone is so into you, he’ll want to be with you every waken moment, and if he can’t he’ll want to talk to you, to call you. It’s easy to find excuses when someone you like doesn’t call you back or says that he’ll call you later and never does, or at least, not exactly when he says he’ll do. You might think to yourself that he’s too busy with his work, that he has simply forgotten. You have to know something, “When you like someone, they don’t just slip your mind”. No one is too busy to give a phone call. If he doesn’t call, then he simply chose not to call. Hanging out or seeing each other every other week when the distance isn’t that significant, wouldn’t be qualified as dating. No matter what excuses you keep fading yourself; this is better than nothing, he’s afraid of intimacy, we’re taking it slow… that still means that he isn’t that into you to date you officially. Believe me, if he cares enough, he’ll claim you his at the first opportunity. If a man likes you, then he would want to kiss you and never take his hands off of you. Even if he doesn’t, to respect your wishes or any other obvious reason, he would still want to and it would show right on his face. So, if a man doesn’t look so hot for you, even if he says he loves you, then know that he isn’t that into you and that you’re like a friend to him. I know it’s not that easy to break a relationship for one mistake, or so you can think of it, but the truth is there’s no excuse for cheating; not problems, not you gaining some weight… There are many ways to solve and approach any problem that shows up and none of these ways include cheating. Keep in mind that cheating doesn’t happen accidentally, it’s the result of a planning and an execution. Some women think nothing wrong with being with someone who only wants to see them when he’s drunk. Some, especially, love the things their man says when he’s drunk. Well, you shouldn’t believe everything a man says when he’s drunk. Moreover, being constantly drunk has a lot to do with the way the man feels about himself when he’s troubled and has little self-esteem, they tend to drink more. And believe me, you don’t want to be with someone like that. You deserve an attentive and sober man. The truth is, marriage had quite a bad publicity in those past decades. However, that never held people from getting married. If your man is bringing up every possible excuse about why he doesn’t believe in marriage whenever the subject is brought, then listen more closely, because he might be saying it outright, I don’t want to get married “to you”. Whatever bad experience he might have been through, when a man finds the love of his life, he would jump right away to claim you his forever. More importantly, never let anyone make you feel stupid for wanting to get married and if marriage is your wish, then the right man would do it for you. If he breaks up with you and then starts calling all the time asking about you, or wants to hang out with you as friends but then you end up in his bed, then know that he isn’t that into you. Because someone who really wants you, after breaking up, he’ll be right by your door telling you how much he misses you and asking you to be back with him. Otherwise, he’s just feeling lonely. Then deciding to go back together is up to you, but just keep in mind that the guy in front of you, is the same one who looked you in the eye and broke up with you telling you that he no longer needs you in his life. I know that you deserve to know why, but would anything he might say satisfy you, I doubt it. And does calling him back will change his mind, I highly doubt that. You can feed yourself all the excuses you want as for why it’s okay to date someone who isn’t available. He might be a good person, you’re in love, his wife is mean toward him… but that wouldn’t change the fact that you’re dating a married man and that can’t be right because, he’s being dishonest, he’s cheating on his wife, he has no regards for you and you’ll be helping a man cheat on his wife. You’re better than that and you deserve much more than that, you deserve someone who’s available for you. One good rule to go by, is to ask yourself: is he making me happy? Because someone who’s really into you will want to do the things that make you happy. Now, he might be a good person with some good qualities, but if he treats you badly and bullies you, then he’s just not that good for you. No pressure can justify his yelling at you and no matter how fat you are, that doesn’t give him the right to point it out to you every now and then. Even if he’s not into your family and friends, he would make the effort to be nice if that means a lot to you. Being told to get out of these relationships isn’t that easy to apply, but being told that you’re way better than those relationships, that’s where to start off. In any relationship, make sure you’re happy, that’s a good way to know if you’re with Mr right or not.